Master your application with Rainin’s E4 XLS+ single channel pipettes. With its advanced features and revolutionary new approach to navigation, the E4 XLS+ raises the bar on pipetting control and simplicity. 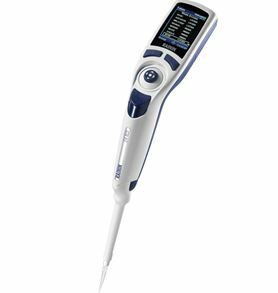 The E4’s sophisticated modes and options are extremely intuitive and easy to access, allowing you to master many lab applications with one pipette. Intuitive operation with joystick graphical navigation. Multiple modes for any pipetting needs. Save favorite protocols to reduce workflow and errors. State of the art design for supreme accuracy and precision with low cost of ownership. RFID tag aids GLP/GMP compliance via advanced asset management. Password protection of settings, protocols and service alarms for SOP adherence and GLP/GMP compliance. Tailor the pipette configuration for any task.